Yes, we got it! It is almost impossible to resist those big brown eyes and a cute doggie expression begging and waiting for a piece of charity coming from your heart when you are eating those delicious sweets or pastries. We’ve been there too, thinking if just a small reward from the kitchen really will hurt your dog. But, it depends on what you are thinking and what it is in it. 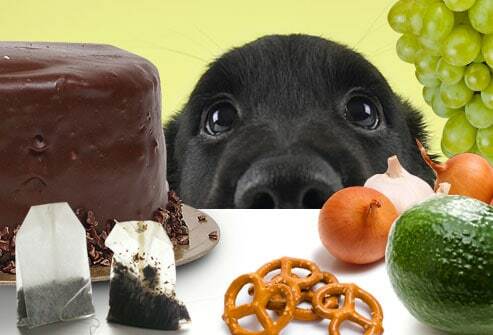 And the reason is not only for the number of calories and overweight, there is some food your dog should never eat because they are very dangerous for them…and you will be surprised that some of these foods are found very often in the kitchen! Avocados contain a substance called Persin. It’s harmless for humans (normally is harmless except if you are allergic) but for dogs can be very toxic in large amounts. Persin is in the leaves, seeds and the fruit, so if you have avocado trees at home it will be better if you create a barrier surrounding the trees or keeping your dog away from that area. 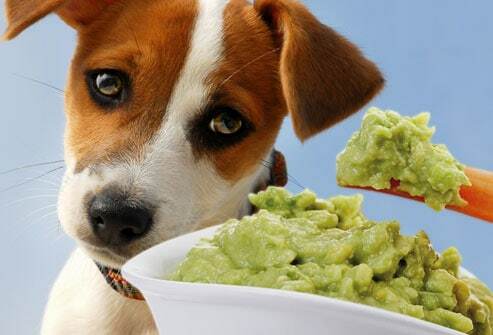 Very Important: It doesn’t matter how good the guacamole is for you, it should not be given to your dog at any time. Alcohol can be found in wine, beer, liquor, and some food. None of this could be good for your dog. 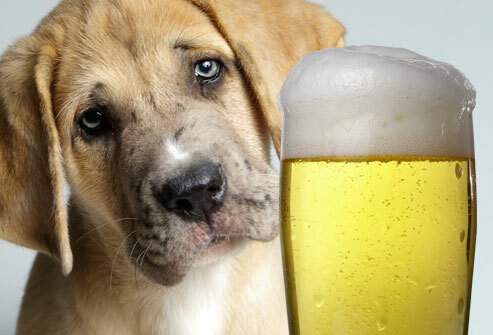 The effect of the alcohol on a dog’s liver and the brain is the same that it is in humans. But the difference is that just small amounts can create exponential damage originating central nervous system depression, problems with coordination, vomiting, diarrhea, difficulty to breath, coma and even death….and of course the smaller the dog, the greater the potential damage. 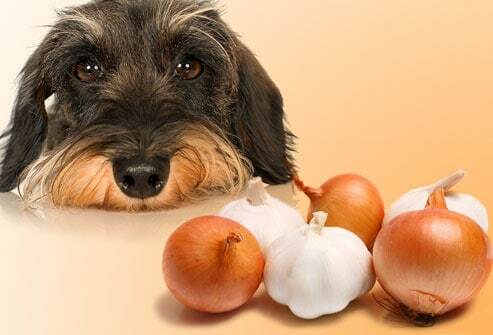 Garlic and Onions can lead a dog to anemia destroying his/her red blood cells. They are dangerous in all forms (raw, cooked, dehydrated or powdered) and it is that strong that could happen even with some baby food that contains onion powder. Maybe once in a while your dog should be OK, but if your dog eats small amounts frequently or a large amount at once, there is a high risk of poisoning. If you know your dog got an important amount of onions of garlic and he has signs of vomiting, weakness, little interest in food and breathlessness (these are some symptoms of anemia), you should take him/her immediately to the veterinarian. Caffeine can be fatal for a dog in large amounts…and there is no antidote. The most common symptoms of poisoning by caffeine are rapid breathing, heart palpitations, fits, restlessness, muscle tremors and bleeding. Caffeine can be found not only in tea and coffee but in chocolate, some sodas, stimulant drinks like Red Bull or Monster, some kitchen products like cocoa, some medicines (like painkillers and cold pills) and some weight management pills. 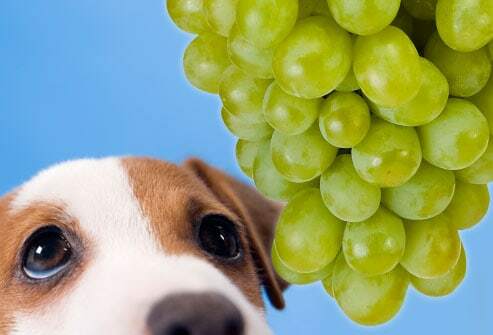 Used as dog treats, Raisins, and Grapes can cause kidney failure in canines. It is not clear why it should not be a good idea to treat your dog with this type of food but just a small amount can make a dog ill, so better if you don’t take the risk. One of the early signs is the vomiting frequency and just in the first 24 hours, if the dog is poisoned with Grapes and Raisins, the dog will become depressed and lethargic. To prevent the risk of poisoning with this type of food keep it off the counters and places your dog can reach. 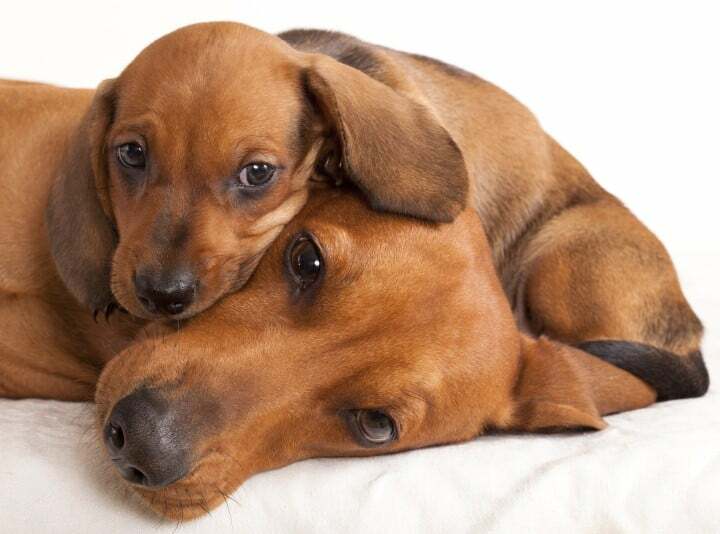 Milk and Milk-based products can cause digestive problems to dogs like diarrhea, also some dogs could be allergic to it (because of the lactose). It may be tempting to share your ice cream or cold milk with your dog on a very hot day and certainly if he/she can talk they will appreciate that but it is not recommendable. 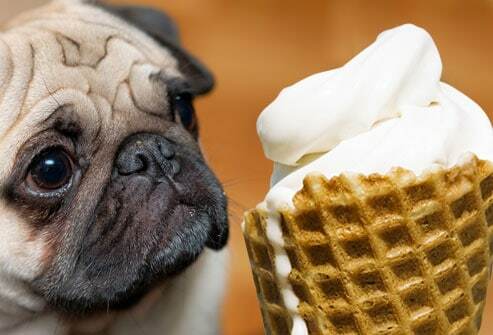 There is some specific Ice Cream made for dogs (like Dogsters and Puppy Scoops) that they are allowed to eat as they have free lactose milk and not sugar or other ingredients not well tolerated by dogs. Macadamia nuts are very dangerous and could kill your dog. 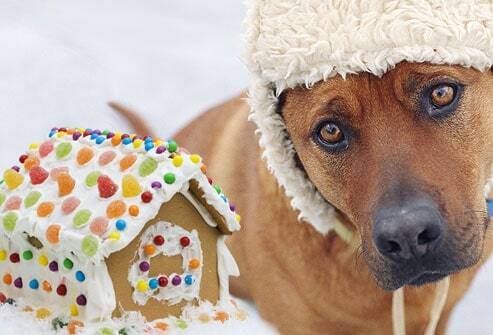 If your dog ate it and shows elevated body temperature, frequent vomiting signs, he/she looks weak, rapid heart rate, take him/her to the vet as soon as possible. 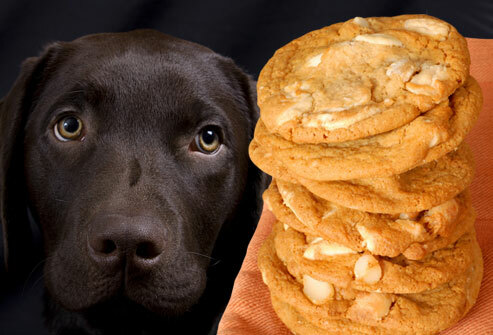 These are common symptoms that your dog could be poisoned by eating macadamia nuts. Some sweetened products like candy and gum (and also toothpaste, baked goods, and some diet foods) use xylitol to provide that sweetness. Same as humans, Xylitol may increase the dog’s insulin levels causing blood sugar to drop with a severe consequence of liver failure. Low levels of blood sugar symptoms are at the beginning lethargy, loss of coordination and vomiting and sometimes the dog may have seizures. If it is not controlled, liver failure may occur in the next few days and can be fatal. 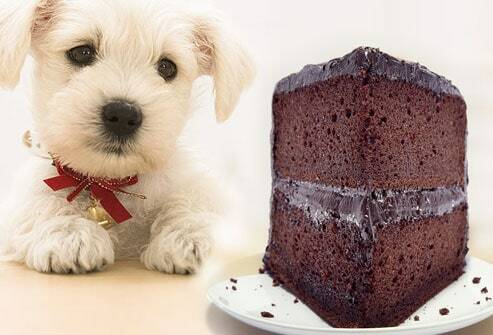 This is not new, a lot of people know that chocolate is bad for dogs. The reason is that there is a toxic agent in the chocolate called Theobromine that is found even in white chocolate, but dark chocolate and unsweetened baking chocolate are the most dangerous. It is so toxic that just a small lick could provoke vomits, diarrhea or making him/her excessively thirsty. Severe cases of poisoning could cause tremors, abnormal heart rhythm, seizures or even death. Let’s be honest, at least once in your life you or someone related to you did this, but remember, leftovers after eating often contain meat fat and bones and these are dangerous for dogs. 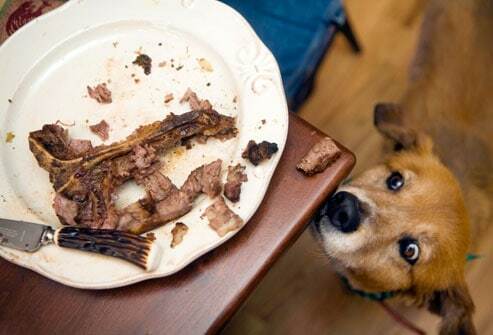 This is why you never should give your leftovers to your dog: Fat trimmed from the meat, cooked or raw, may cause pancreatitis in your dog and he/her can choke on a dog bone or can splinter creating obstruction or lacerations in his/her digestive system. It is better to feed them with specific dog food, better if it is organic and even better if it is dry. The issue with these type of fruits are the seeds. 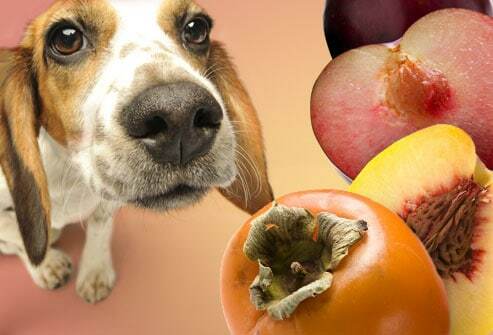 Persimmon’s seeds may create inflammation or cause an obstruction of the small intestine of your dog. Also because the size of the pit from a peach or plum obstruction is also a possibility if they are ingested by the dog. In addition, if you didn’t know peach and plum pits contain cyanide and this is very poisonous for humans and dogs… The big difference is that we know not to eat them but they don’t. 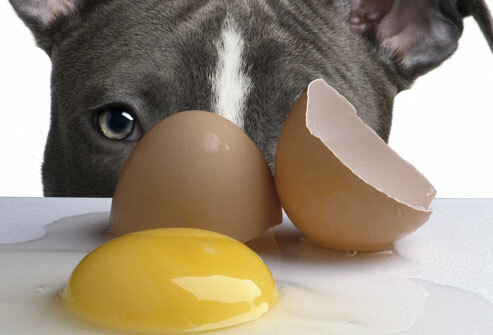 There are two types of issues that may happen if your dog ate raw eggs: Food poisoning from bacteria like Salmonella or E. coli or blocking the absorption Biotin (a particular B vitamin) due to an enzyme called Avidin found in raw eggs. This can cause skin problems if your dog is eating big amounts. Also remember Eggs have a lot of calories, fat, and cholesterol and it can lead to overweight, obesity and potentially to other more serious issues like health problems. Like raw eggs, raw meat and fish may have some type of bacteria that could food poisoning your dog. Also, some species of fish like shad, lamprey, redside shiner, sculpin, trout, sturgeon, candle-fish or salmon can contain a parasite that causes “fish disease” that, if not treated, can kill your dog within 2 weeks after exposure. These are some of the symptoms your dog likely would show after 6 to 10 days of eating infected fish: vomiting, fever often higher than 104F, Diarrhea, Anorexia, depression, weight loss and big lymph nodes. 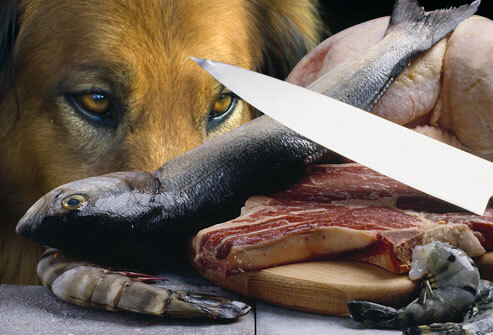 The best way to protect your dog is serving well-cooked meat or fish as high temperature will kill the bacteria. 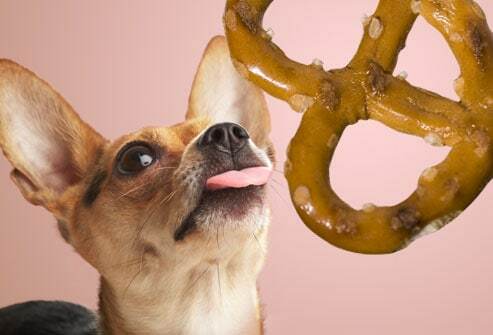 Excessive salt in the diet could cause the increasing of the frequency of urination and thirst and lead to sodium ion poisoning so sharing salty foods with your dog is not a good idea. Some of the symptoms are diarrhea, elevated body temperature vomiting, depression, tremors, and seizures. It may even cause death. 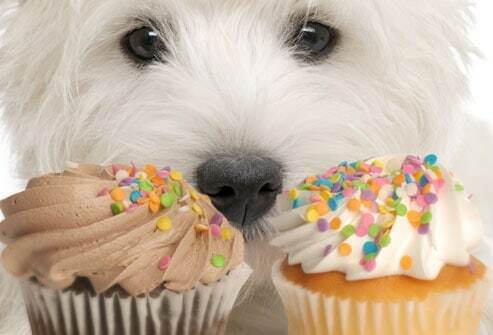 Excessive sugar can be bad for humans, for dogs is the same, not only because the high amount of calories can lead to obesity or dental issues but because it can cause diabetes or, as consequence of the overweight, some other problems like high blood pressure. To make bread and before baked, bread dough needs to rise, and when the yeast ferments the dough it produces alcohol. Now, imagine the same process inside your dog’s stomach after he/her ate it. 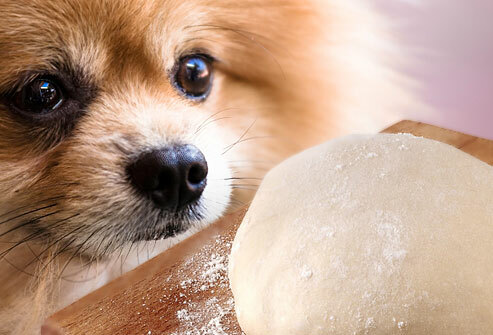 The dough will swell inside stretching the dog’s abdomen men causing severe pain and, the alcohol produced after the fermentation may lead to alcohol poisoning. One of the most common reasons reported by veterinarians that cause poisoning in dogs is the ingestion of drugs prescribed for humans. 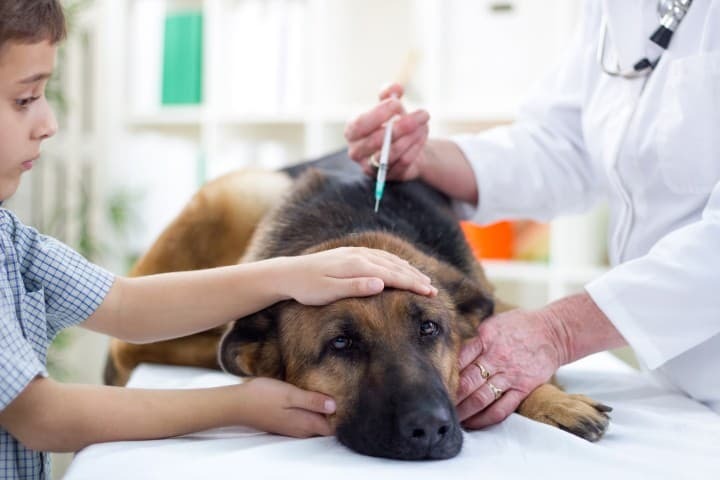 And most of the time this is because the dog was able to reach the medicine, so you need to be careful, all medicines should be out of your dog’s reach. Also remember, some out of the counter medicines can kill your dog if they are administrated without an order and supervision of a veterinarian (like pain relievers or cold medicine that include ingredients like acetaminophen or ibuprofen), so never give to your dog a medicine without prescription or vet’s order. 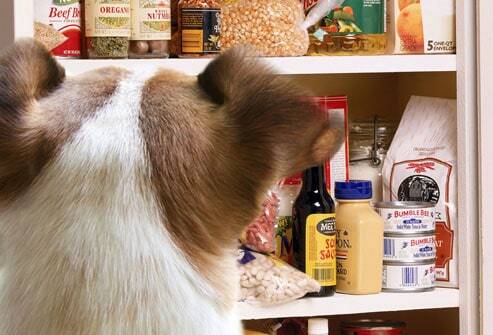 There are more items found in the pantry potentially dangerous for your dog like baking soda, baking powder, garlic powder, several spices, etc. so keep all food items high enough and keep the pantry door closed all the time. 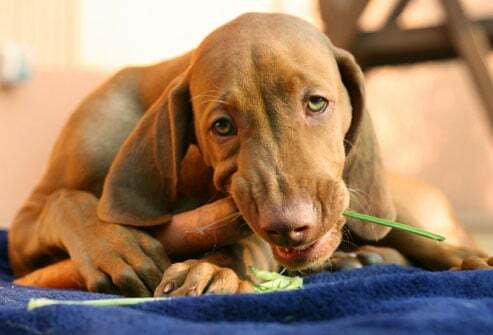 What To Do If Your Dog Eats What it Shouldn’t? 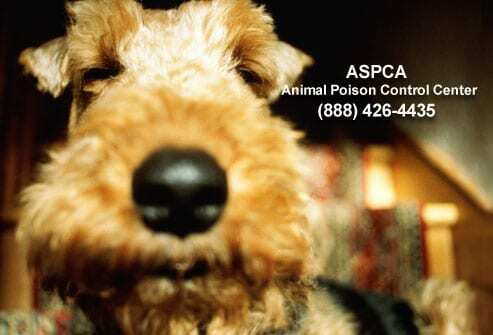 If you suspect your dog ate something that could be toxic you can call ASPCA Animal Poison Control Center (888) 426-4435, your local vet or the closest emergency clinic. It will be a smart idea to keep these numbers where you know you can find in case of an emergency. 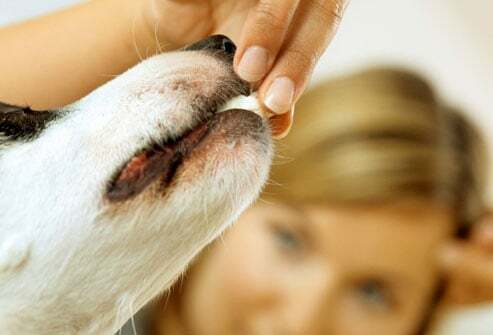 Remember, the way dogs explore is with their mouth and accidents can happen no matter how cautious you are so it is better to be prepared and ready in case your dog eats what it shouldn’t. So Then, What Dogs Can Eat? The best way to know is asking your vet what is the best-recommended quality dog food that fits your dog. 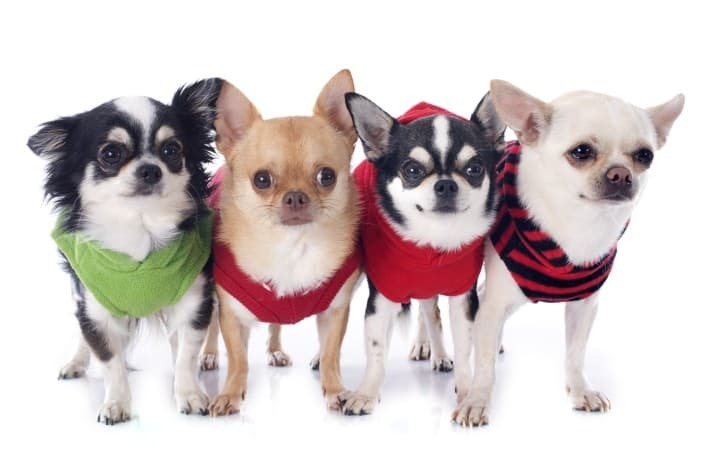 For example, after trying several types of dog food (including can food, natural and dry food) we noticed that for our dogs, organic dry food is the best, not only because it has all the nutrients needed for an active and healthy life but also improves the coat quality, reduce the shedding and eliminated the skin allergies of one of our dogs. Also, it is important to mention that at the time to go to the bathroom, dog stools do not really smell and disintegrate very easy. It is a little more pricey but in the long term is cheaper. 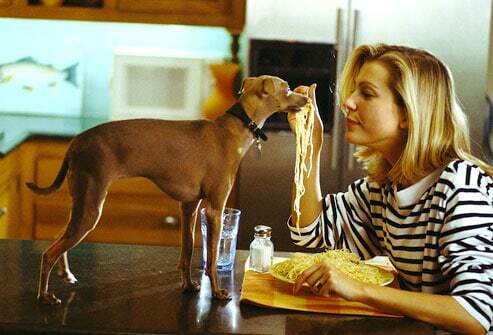 For example, in our case, my dogs only need to be fed once a day with this type of food. There are several brands in the market but, by experience, we can recommend Ultra by Nutro. You can find it in any pet supermarket store and online. We use Amazon because it is delivered to our door, you can use this link if you want to order it online too. 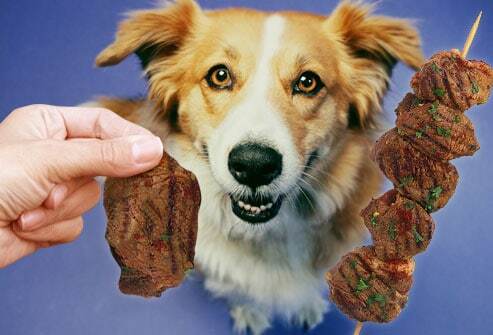 All dogs love meat that is for sure but in order to provide some healthy treats meat must be cooked and lean and remember not to put salt or pepper on it. Also check before you give it to your dog that there are no bones in the meat and remove all the fat, skin included. If possible, better if you avoid red meat and use chicken. These are some fruits your dog can eat: Bananas, apples, oranges, cantaloupe, and watermelon, just be sure to remove any seeds first, as we mentioned before seeds, stems, and leaves may lead to serious health problems. 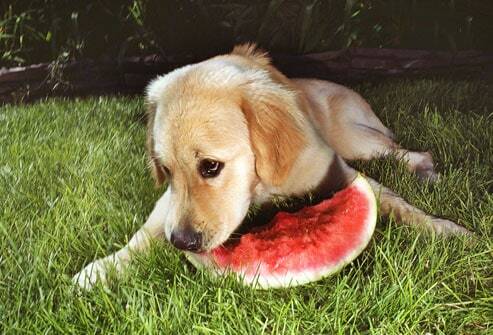 Our dogs like watermelon, we use to make ice cubes with natural watermelon and give it to them, they loved it! There are some healthy veggie snacks your dog can eat too like green beans, cucumber slices, zucchini slices and carrot sticks. Sweet potato is also recommended for dogs with skin allergies. Even a plain baked potato once in a while is good, just be sure it is not raw because can lead to some health issues. There are some good dry dog treats based on sweet potato like Dr. Chew that are organic, free GMO and gluten free…and smell and taste to Sweet Potato, when we are not baking our own dog treats we use to get them from this brand. It happens, sometimes we run out of dog food and the store is closed, but there is an alternative for one or 2 days that you can use as a backup and your Dog may enjoy the change, plain white rice or pasta after it’s cooked. Just Remember don’t to use salt, garlic or any type of oil to cook them, these ingredients are not good for dogs as we explained before. 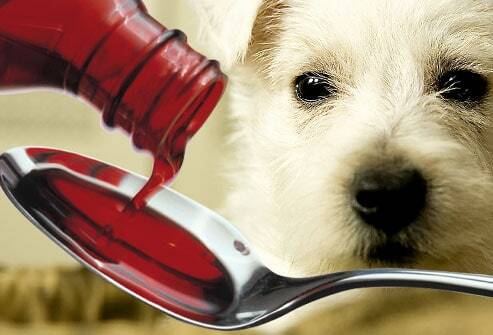 There is more type of food that your dog should never eat, remember always to ask your veterinarian. 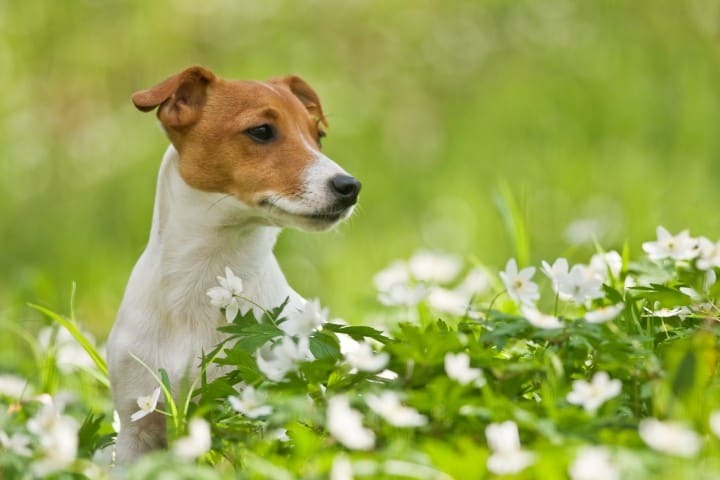 Also it will be smart to check if your dog has any type of allergies and, if possible, his/her family health history. As humans, dogs can eat a lot of stuff but there is some food they really should not, the difference is that we can use our logic and common sense, but they are based on instincts. 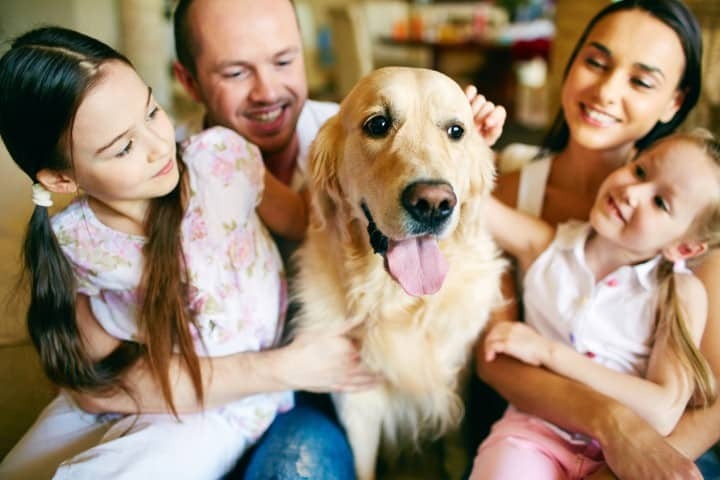 So you play a very important role in his/her food habits, health, and life quality… Protect your dog in the same way you love it and he/she will have a good life besides you. Recommended Product: We know there is a lot of information here, and, I want to share with you what I found on Amazon, I think it will help you to memorize, learn and remember what food you can’t give to your dog. THIS POST DOES NOT PROVIDE MEDICAL ADVICE. It is not a substitute for professional medical advice, diagnosis or treatment and should not be relied on to make decisions about your pet’s health. Never ignore professional medical advice in seeking treatment for your pet because of something you have read on this Blog. If you think your pet may have a medical emergency, immediately call your vet or dial 911. Great post! I already knew some of them but not all of them! Thank you for sharing. Thank you for this! Didn’t know about avocado, it’s something I let my dog have often when some falls on the floor , won’t be any more! Great article – thanks for sharing these tips! This is amazing! There are so many more no-no foods than I ever imagined. This is a great read for all new dog mommas like me.